Casa Brazilia is the East coast most sought after Brazilian entertainment company featuring a dazzling ensemble of dancers, musicians and capoeiristas who have pushed the bar and have taken Brazilian entertainment to another level. Booked them for a second time. They were still incredible! Two years ago Casa Brazilia helped celebrate International Week at our elementary school by performing at the assemblies to 700 kids. They were such a hit that we had them back this year. The capoeira dancers were incredible! An absolute pleasure to deal with. They turned up early, and were polite, friendly, professional and great fun. The kids were so energized by their performances! They were totally captivated. The teachers loved it! Even the principal was invited onto stage and taught some moves! We can't recommend them highly enough! Casa Brazilia contacted me right away and answered all my questions in a very timely fashion. Melissa the dancer I hired was sweet, professional and everything I had wanted. She really completed my event. She was hired only 3 days before the event and managed to deliver 2 beautiful dance routines. This was my first time using GigSalad and it was a simple process. I would definitely use this site again. I didn't think I was going to have the dance routines I was looking for, but Melissa from Casa Brazilia and GigSalad really came through. Thanks so very much. Cecilia from Casa Brazilia entertained and instructed salsa at my daughter's 7th birthday party and she was a great hit! Booked for a surprise party and the birthday girl had a blast dancing along with the professionals. Loreto was the MOST professional & personally pleasant addition to our event!! The audience was completely in AWE & didn't want her performance to end!! We will DEFINITELY work Loreto again!! Thank you Casa Brazilia!! Until next time, GOD BLESS!! Very affordable. Punctual. Always answered my questions, can't complain at all. The show was very nice, brought all my guests to dance floor and kept them entertained. The dancers were on time (even early) and really sweet. Nice performance and entertaining. The Dancers and Drummers were awesome. Truly recomend them for your next event. What a show for our school assembly! The kids LOVED it!!! We had a Samba dancer and two Capoeira dancers for our International Week elementary school assemblies. They were incredible! Great with the organization in advance - prompt at responding to all my questions etc. And on the day they were AMAZING! A really high energy, inclusive show that had everyone in the audience on their feet clapping and cheering. Thank you guys! You rock! 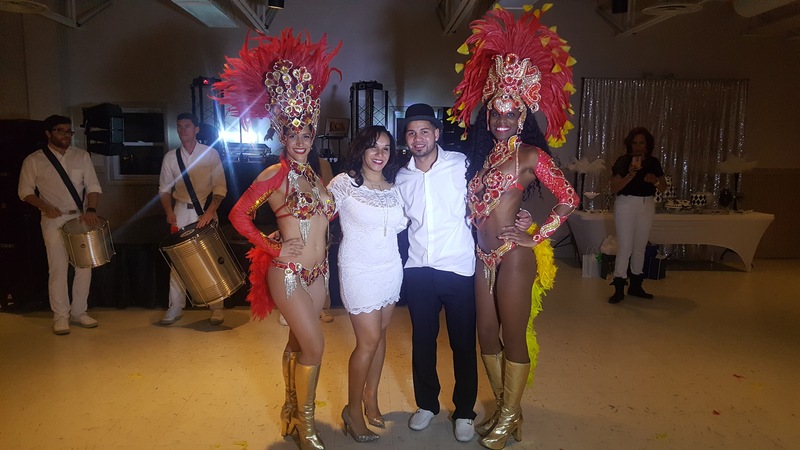 Casa Brazilia is talented and know how to get the party started! Thanks to these dancers my wedding is still talked about! Worth every penny! I was very happy with the performance. It was something new to our company Christmas party and we all enjoyed it 100%. Dancers made everyone move, clap and dance. Casa Brazilia a great group of beautiful professionals. Thank you for having us Mark. We had a great time. We hired two dancers to come perform for our wedding. They were AMAZING! Performed beautifully. Engaged the crowd and danced with everyone. It was great. Will def hired them again. Thank you Casa Brazilia!!!! Thank you so much. We had an amazing time being apart of your special day. Amazing performance with these ladies!! Thank you for having us be apart of your special day. Was great to have you join us in the show. Outstanding, punctual, overall great entertainers. The dancers were amazing and professional . It was a wonderful experience and will be using them in the future . They made the event for both my fiancé and I. The performance was quite different from all other dance presentations we've ever seen and done here. We were amazed by the colorful costumes . .... Unforgettable Show , beautiful dancers and their colorful costumes made this a spectacular show.". Thank you very much. Girls, Great Job! I'd like to thank Nubia and her crew for the awesome performance, it was literally jaw dropping. They are beautiful, original, professional and have such a charisma. Thank you so much for making our special day so memorable!!! Thank you so much. It was simply our pleasure to be apart of your special day. Nubia, the Director of Casa Brazilia was a pleasure to work with. She is prompt when it comes to communication and quite accommodating. I loved the experience I had with Casa Brazilia. I also loved the fact that if you preferred something more authentic you can hire their live drummers instead of having the dancers perform to a CD. Overall, I was pleased with the performance and service Nubia provided. Her team was on time, stuck around for photos, and overall very kind. They also pulled the guests to dance and interact with them towards the end, definite crowd pleaser! Wow...what a great performance Nubia and her dancer did at my wedding. All my guests loved the samba and costumes, even the more conservatives ones. Nubia is very professional and always available. I highly recommend Casa Brazilia! Nubia was amazing! We were having a bad day. Things didn't go as planned. Thank god for Nubia. She was awesome. Kept everyone excited and on they feet. Did a small dance session. it was awesome! Great friendly dancers for my mother's fiftieth birthday! I ordered the samba performance of a female and male for twenty people at my family home. The pair arrived promptly. They performed wonderfully. They exceeded my expectations. I would definitely contract with them in the future. Casa brazilia was amazing. She was professional and entertaining. Everyone loved it and it definitely got the party going. I choose Casa Brazilia for my boyfriend's rooftop birthday celebration. 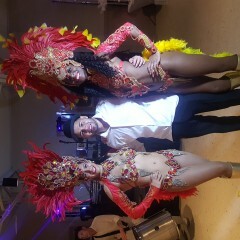 After contacting various samba dancers, I chose Casa Brazilia because of Nubia's professionalism. They were on time, kept in touch with me during the whole process and offer a fabulous show. My boyfriend and guests had a great time! I booked Rhythm Brazil for New Years Eve. Easy booking and very nice people. I live about an hour south of NYC in Asbury Park, NJ and everyone in band was on time. They put on a great show that my guest loved. Nubia was wonderful and in charge of group. I hired 3 drummers and 3 samba dancers. We provide choreographed shows that can be be used from club settings to full stage shows. The show can consist of a choreographed routine, audience interaction, audience competition just to give you some ideas. We work together with our client to come up with the best show to suit your event needs. 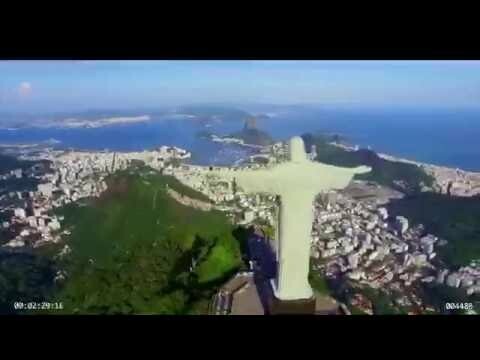 Casa Brazilia Brings Brazil to YOU. 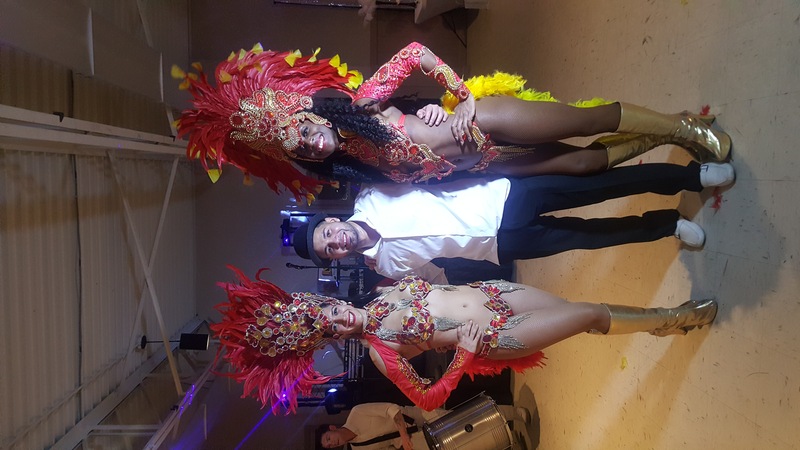 From the Carnaval parade or the favela nightclubs, Casa Brazilia brings an authentic Brazilian experience to your event. Shows are customized to suit every budget and event. You will experience color, excitement, feathers, and the infectious energy that Brazil is so famous for. We specialize in various Brazilian styles including Samba, Batucada, Afro- Brazilian, Baile Funk and Axe. Casa Brazilia’s intoxicating performances are guaranteed to leave audiences feeling exhilarated and wanting more! 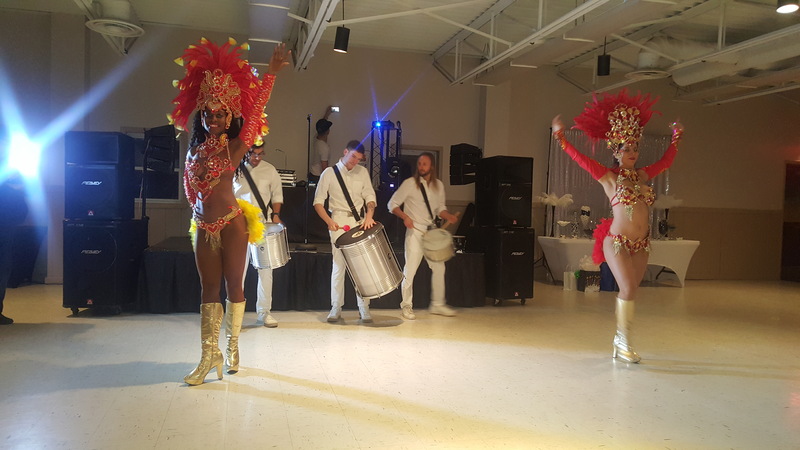 We will bring the heat and energy from Brazil to your event.